Poker players rejoice. The new way of playing poker has arrived. For a long time, poker lacked innovation. Sure, we got a few tweaks to the game here and there, but nothing revolutionary. Well, nothing until now. 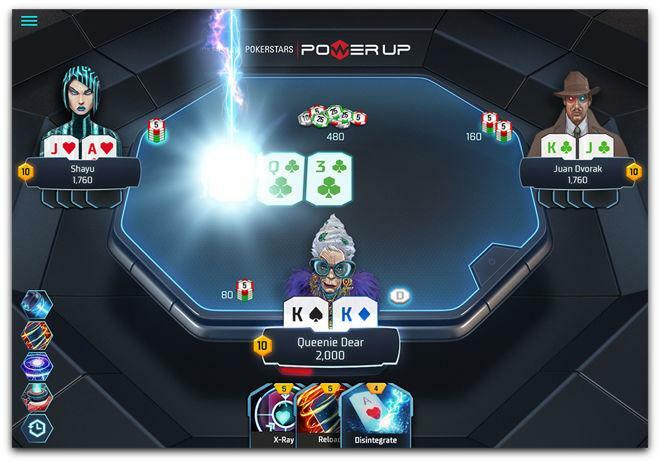 PokerStars, a highly regarded online poker platform, has just announced their futuristic take on poker, appropriately named, Power Up. Why appropriately? Don’t worry; you will find out soon. PokerStars has been brewing this concoction for quite some time, and finally, they are ready to launch a live version for real money tournaments. Now, I don’t know about you people, but I am kind of excited. It’s not often that we see crazy innovations to our beloved card game, and even if we do, poker community shuns them off in most cases. However, I feel very optimistic about Power Up. They have added more than just a couple of rule changes. 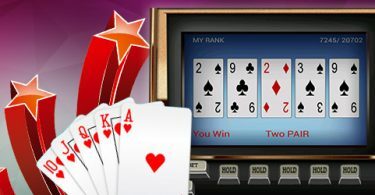 In fact, Power Up has integrated potentially game-changing systems into a regular Texas Hold’em poker. So, let’s take a look at some of the most prominent ones. PokerStars’ Power Up is at its core a Texas Hold’em poker game. You will get your cards as in a regular poker game, and of course, win conditions remain the same. However, as soon as the gameplay starts things will get a little bit crazy. PokerStars has created a unique futuristic universe for Power Up. You will assume the role of one of the characters that come with their own backstory, personality, and strengths and weaknesses. Just an FYI, character selection has nothing to do with gameplay, and it’s purely cosmetic. At the beginning of each game, players will be dealt cards and powers. These powers or power-ups are those gamin-changing systems. Once it’s your turn you can perform standard poker actions like check, call, and raise. However, you can also use your powers at the cost of your energy. There are nine powers currently in the game. Some will let you see one of your opponent’s cards, and some will destroy a card on the board. All of these powers have potential to swing the game in someone’s favor, adding more layers to an already complex card game as poker. In my opinion, this can be a lot of fun. Clearly, PokerStars was influenced by video games when creating Power Up. Most young adults that grew up playing video games find poker’s gameplay boring. By adding these video game tropes, PokerStars aims to create a more interesting and dynamic way to play poker. If you find these gameplay changes interesting, and want to try them yourself, I have some good and bad news, depending on where you are living. As of yesterday, players on .EU client can play real money games. Unfortunately, .UK and .com users will have to wait a little bit longer. Developers of Power Up have come out and said that other markets would come online very soon. Let’s hope that the wait won’t be longer than a week. So, what do you think about these innovations? I understand that this gamified system might not be everyone’s cup of tea, but I just can’t wait to try Power Up. My only concern is that some powers might be overpowered and some completely useless. But then again, every player gets random powers at the beginning of each game, and you can hold only one copy of a certain power. Additionally, playing powers costs energy, so there is that limitation as well. Hopefully, all this will be enough to prevent exploits and overpowered tactics. I would to hear your opinions on this, so please leave a comment down below. 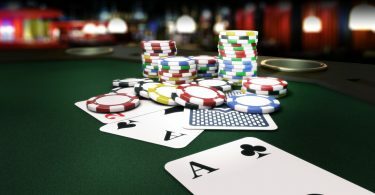 Click here for more interesting news about poker.